Its revenue from operations, however, grew 8.3 per cent to Rs 14,541 crore during the period under review from Rs 13,423.4 crore in the same quarter last year. IT services major Wipro on Wednesday posted a 13.8 per cent decline in consolidated net profit at Rs 1,889 crore for the July-September quarter of 2018-19 compared to the year-ago period. The net profit, attributable to shareholders, in the year-ago period was at Rs 2,191.8 crore, according to a regulatory filing by Wipro. Earnings per share for the quarter was Rs 4.19. Wipro, which gets bulk of its topline from IT services, said the IT services segment revenue was at Rs 14,380 crore ($2 billion). After adjusting the impact from the divestment of its hosted data centre services business, Wipro's IT services segment revenue was up 6.2 per cent sequentially and 10.4 per cent year-on-year in rupee terms. The company had guided its IT services revenue to be in the range of $2,009 million to $2,049 million (excluding the divestment impact). "We expect revenue from IT services business (in October-December 2018 quarter) to be in the range of $2,028 million to $2,068 million... This translates to sequential growth outlook of 1-3 per cent," it said. 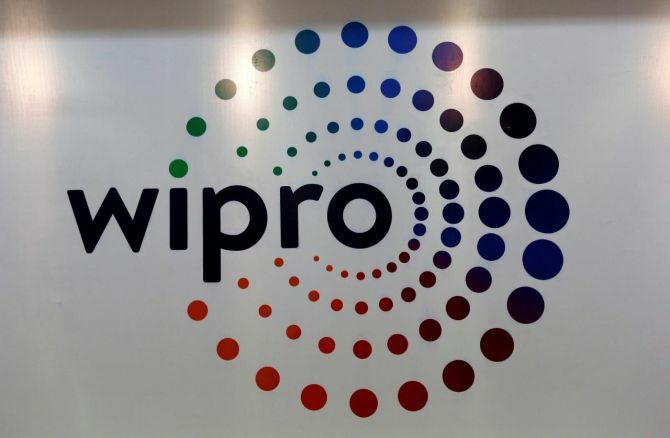 Wipro added that it is carving out its India Public Sector Undertaking (PSU) and India Government business -- given its "distinct operating rhythm and need for differentiated execution rigor" -- as part of a re-organisation and its outlook for the December quarter reflects this change. IT products segment revenue for the quarter was Rs 290 crore($39.6 million). The company's adjusted IT services margin for the September quarter was 18.1 per cent which includes a loss of Rs 514.1 crore from the settlement with one of its key customers. "Wipro has delivered a strong quarter on both revenue and margin growth. We won our largest deal to date and four of our Business Units grew over 4 per cent sequentially in constant currency terms. “The demand environment is robust, especially for digital transformation and enterprise scale modernisation services," Wipro CEO and Member of the Board Abidali Z Neemuchwala said. Jatin Dalal, Chief Financial Officer at Wipro, said consistent improvement in the company's operating metrics reflects its "relentless rigor of execution, which has resulted in our adjusted IT services margin reaching 18.1 per cent in quarter 2". He added that automation will be a "key lever" to drive margins going forward. The company's digital business grew 13.4 per cent sequentially and accounted for 31.4 per cent of its revenue. The Wipro's board has approved the appointment of Arundhati Bhattacharya as an additional director. "... the Board of Directors of the company at its meeting held on October 24, 2018, approved the appointment of Arundhati Bhattacharya as an additional director in the capacity of independent director for a term of five years with effect from January 1, 2019," it said in a separate filing. The appointment is subject to the approval of shareholders of the company, it added. At the end of the said quarter, the total headcount was at 175,346, while the attrition rate was at 18.3 per cent on voluntary quarterly annualised basis. Wipro shares closed almost flat at Rs 309.15 on BSE ahead of the announcement of the financial results. How does a legacy brand like Wipro reinvent itself?